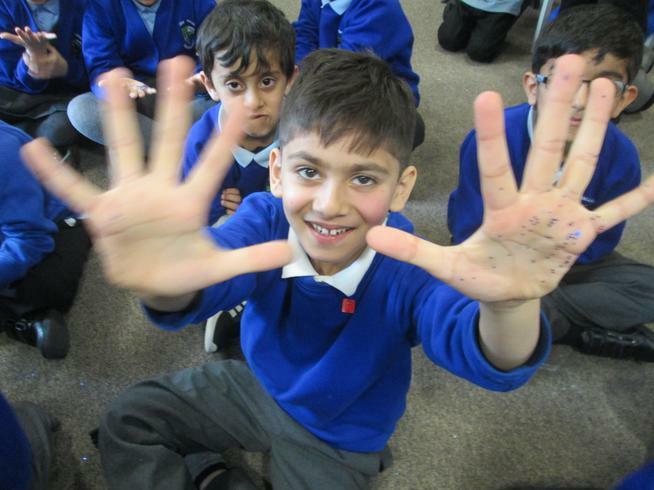 As a Rights Respecting School, each class at Irk Valley has discussed and chosen its own article(s) to focus on throughout the academic year. Summer term we will also be looking at Article 7; this states that as children 'you have the right to a name, and this should be officially recognised by the government. You also have the right to a nationality (to belong to a country). We are currently in the process of finishing our class charter and planning lessons to learn more about our article and those our Rights Respecting Team have chosen for the whole school. 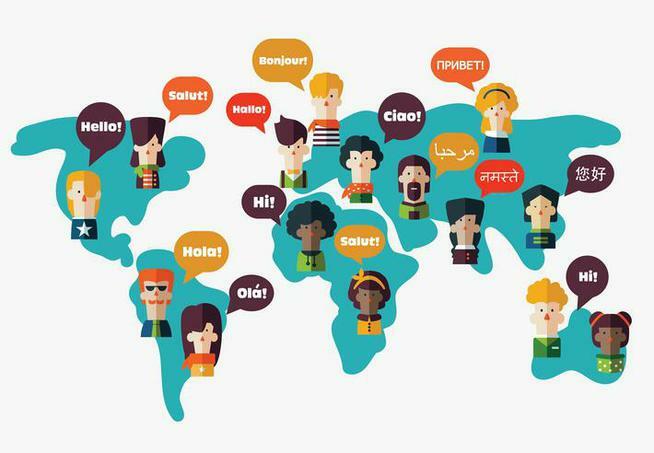 (children from minority or indigenous groups) Every child has the right to learn and use the language, customs and religion of their family, whether or not these are shared by the majority of the people in the country where they live. 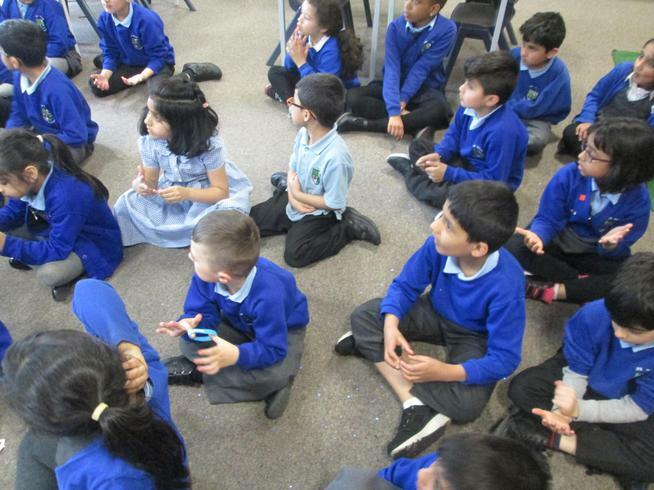 As a class Year 1L spent an afternoon discussing what we thought this Article meant, together we broke down the keywords within such as learn, languages, culture, religion and customs. 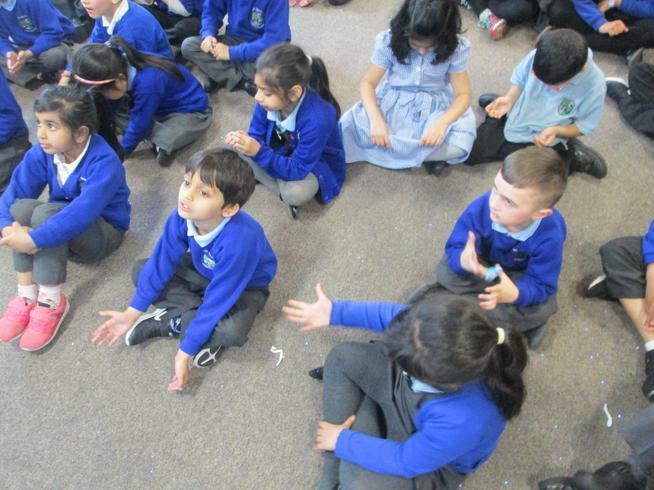 This allowed the children to share their ideas of its meaning and shown that every child has the right to a difference of opinion and to be listened to by others. 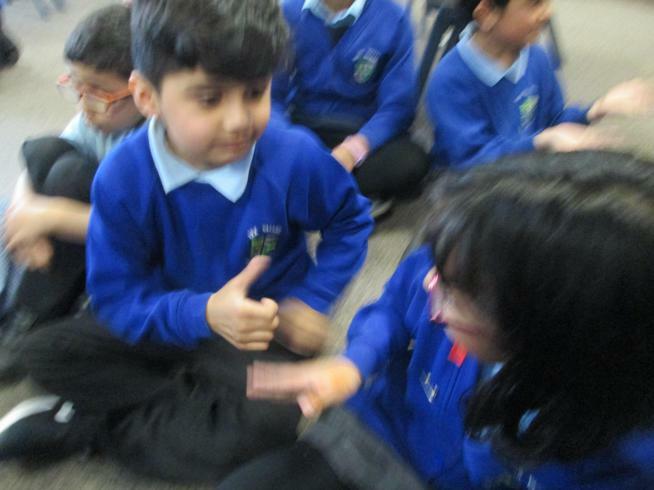 We realised that we already recognise and respect the language of others as we answer our register each day in our own language and have even learnt sign language for those who are deaf. 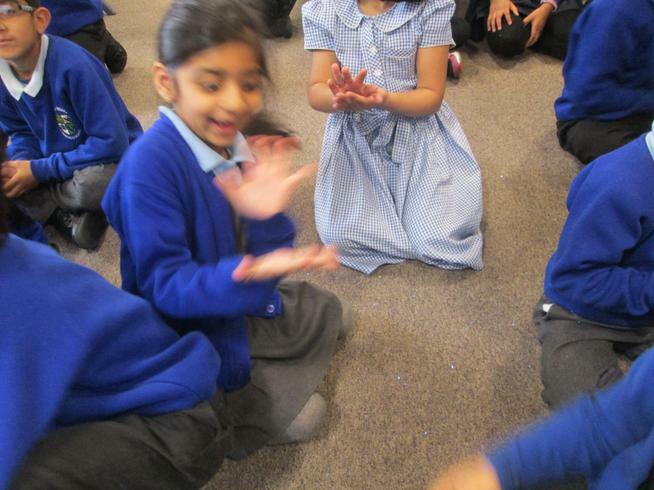 Many children in our class spoken a different language including french, polish, urdu, albanian, punjabi to name a few. Our cultures have many different special occasions which we celebrate with our friends and family such as birthdays, christmas and Eid. We also discussed the different foods found around the world and those traditional to our cultures. This is where we chose to expand, the children were each given a paper plate to draw their cultures traditional dish and on the reverse discribe what was on their plate and how they ate their foods as the children identified that some people use forks and knifes to eat, some use their hands and others chopsticks! Every child has the right to the best health care possible, safe water to drink, nutritious food, a clean and safe environment, and information to help keep them well. Year 1L loved exploring the ideas within Article 24. Initially we discussed and looked at some images of how children in other countries accessed water and the type of conditions they lived in. 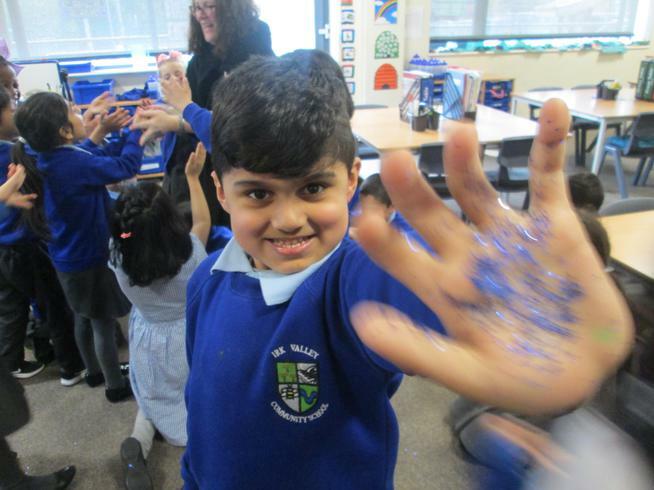 We had a lovely activity planned for our outdoor lesson on World Water Day about transferring water but the heavy rain stopped this happening however, we talked about it and modelled what the idea was and hopefully we can carry out this activity in better conditions. 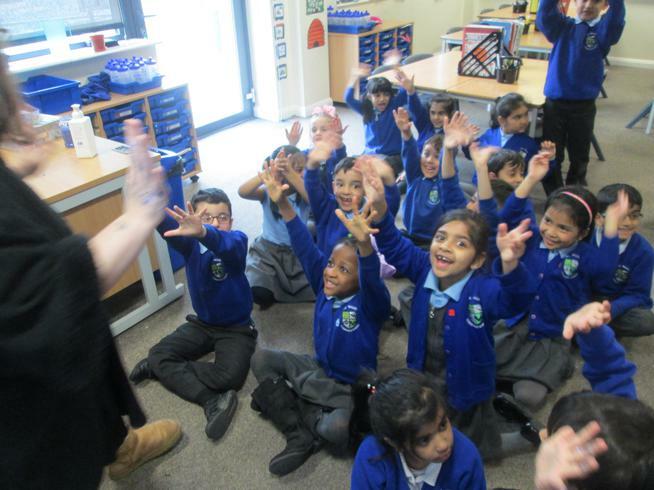 The children were shocked at how lucky they were to have access to clean water so easily! 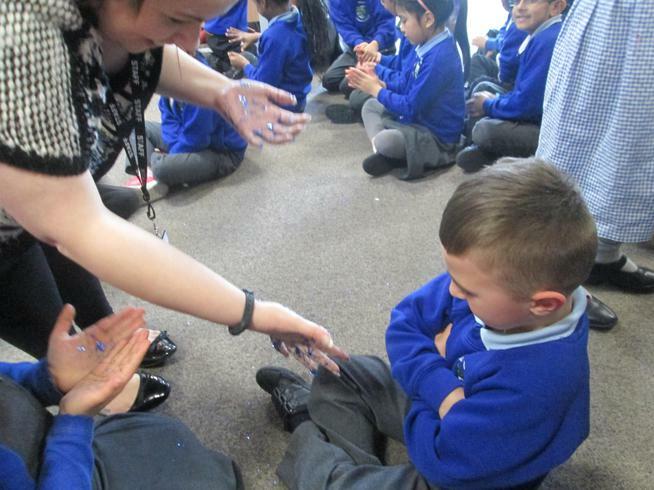 For our main focus activity we undertook a 'germ' experiment; this was to show the children the importance of washing their hands thoroughly to avoid the spreading of germs. 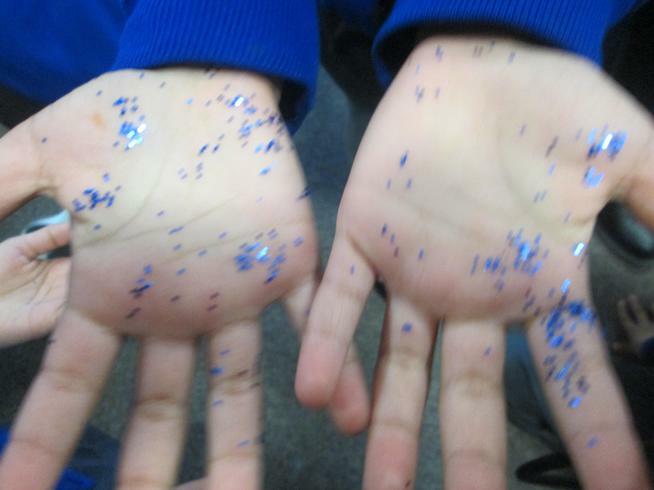 To simplify and make it easier to see we used blue glitter as the germs. 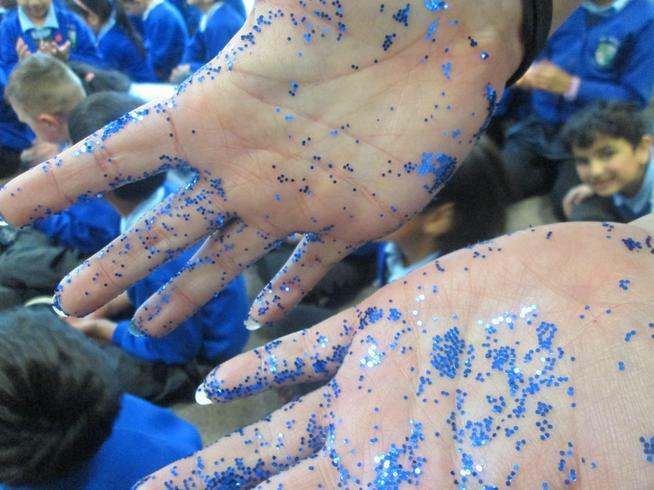 Mrs Bradshaw and Miss Connor covered their hands with the 'germs' and throughout the introduction high fived the children for their excellent responses, shook their hands to welcome them back after lunch - everyday activities in Year 1L but every single one of us ended up with the glitter on part of our bodies even the floor was covered! 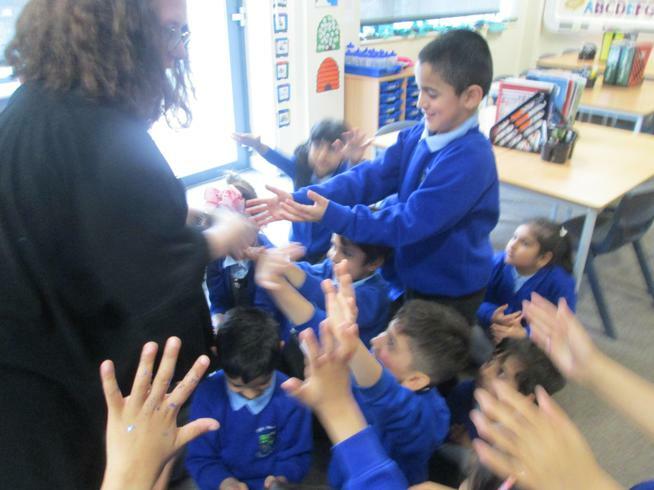 After this we recalled the most hygienic ways to wash our hands remembering to wash inbetween our fingers on the backs and palms. 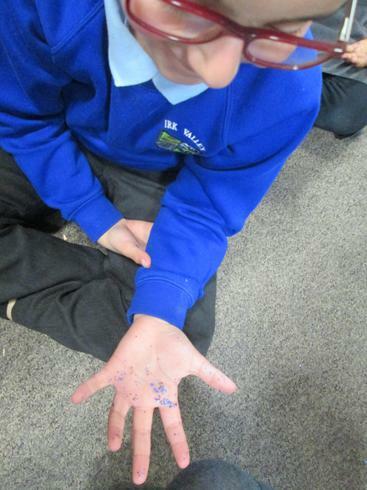 Mostly importantly we reminded the children the importance of drying our hand properly.